Orientation leaders wore t-shirts with a wordmark designed by Julian Kelly 19 GD. Amid the whirlwind of emotions that accompany moving in and acclimating to the steep incline of College Hill, 768 incoming students have been getting acquainted with life at RISD this month. The 459 new first-year, 60 transfer and 249 graduate students attended orientation programs and welcome events that set a tone for the semester and years ahead by encouraging new friendships, introducing campus resources and providing a moment to pause and consider all they have accomplished and all they hope to achieve. Viktor Hübner MFA 19 PH finds a German-language novel at the international student “yard” sale. For Orientation 2017 the value of considering “context” rose to the surface, both in casual conversation and during the week’s activities and information sessions. First-year undergraduates—the class of 2021—are among the most diverse students RISD has accepted to date: students of color represent 37.3% of the class and those from abroad account for 30.5%. This range of backgrounds and breadth of experience is integral to the originality and ambition of RISD’s creative community—one with “values that direct a different perspective,” as President Rosanne Somerson 76 ID noted at Convocation on Tuesday, September 6. 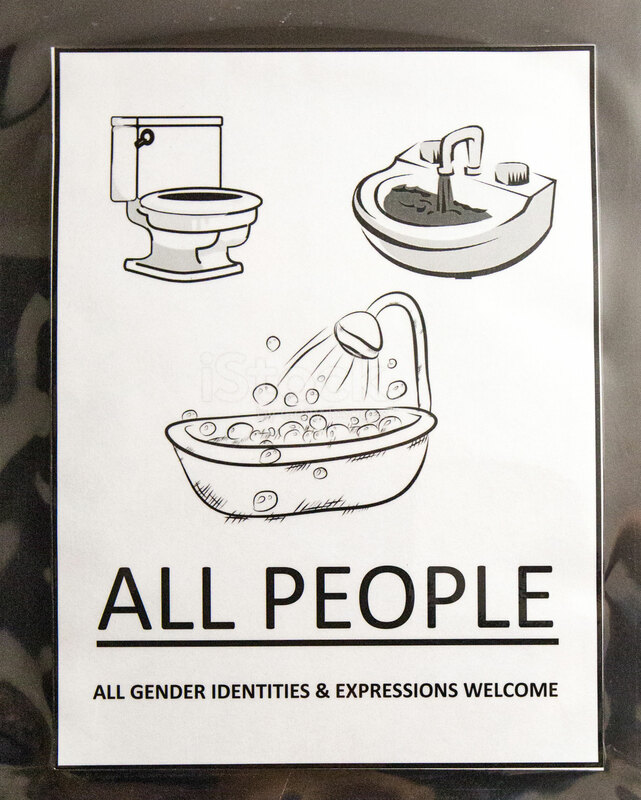 New signage marks RISD’s gender-inclusive facilities. During a training session for resident advisors and orientation leaders, guest speaker Reverend Dr. Jamie Washington encouraged upperclass students to keep context in mind as they guide fellow students over the course of the year. “Part of your work as a leader is to listen to where people speak from. If they come to you with a concern, consider: are they speaking about themselves, their experiences as an individual? Are they speaking about a dynamic of a particular system? Or is it a cultural dynamic? The challenge is to remember that all three contexts are at play in any given situation,” he counseled. With some of the highest GPAs (a class average of 90.3) and SAT scores (a combined average of 1298 on the critical reading and math tests) in recent years, first-year students have plenty of questions about the competitive nature of studio learning. Rising junior Florence Liu 19 PR put their minds at ease by reminding them “that they’ll be more productive if they sleep and then work, rather than try to stay up all night to get a project done. Sleep and food are necessary for all animals, especially RISD students,” she cheerfully advised during move-in day. It’s important to look beyond the classroom too, suggests Paridhi Mundra 17 IL, president of the Community Service Club and a leader of this year’s Pre-Orientation Service Experience (POSE). “First year is not only about studios,” she says. “You learn a lot from the people around you. Try to go beyond and get involved,” she told incoming students. Dashaun Sutton-Harris 21 EFS is among a cohort of new students who started by doing just that—by participating in the POSE program. 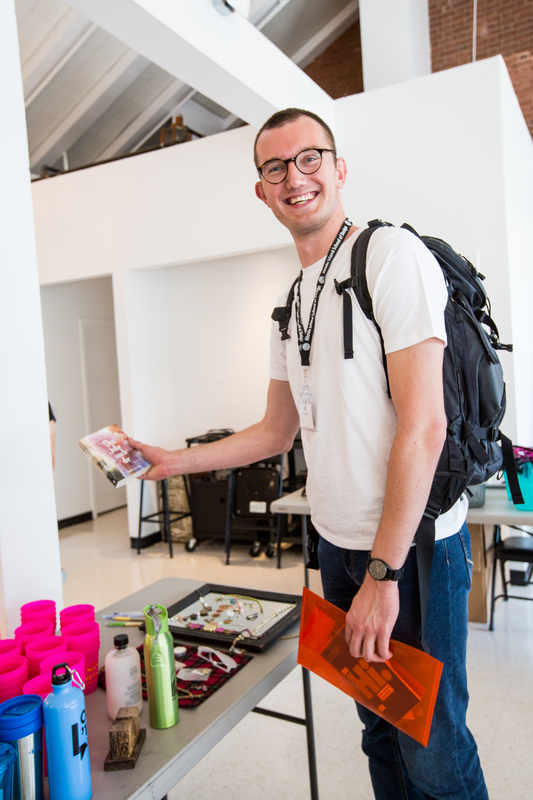 His experience volunteering with peers at City Arts on the west side of Providence and at the Southside Cultural Center gave the midwesterner a better sense of his new surroundings and an inspiring introduction to the service-oriented community at RISD. New roommates Dashaun Sutton-Harris 21 EFS and Daniel Goldeberg 21 EFS enjoy the beach and the lawn at Tillinghast Farm. “I might be a POSE leader next year. It’s a great way to make a lot of nice connections before school starts,” Sutton-Harris said. 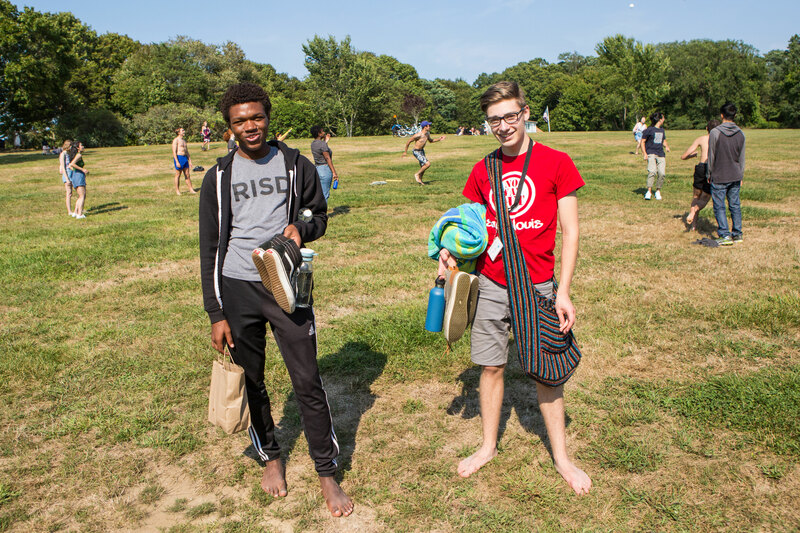 He and his roommate Daniel Goldberg 21 EFS also attended the Labor Day bayside event for new students at RISD’s Tillinghast Farm in Barrington, RI. Among 34.6% of the incoming class hailing from the northeast, Goldberg says, “I was a little nervous about moving to the city because, coming from Vermont, I really love the country. But I’m glad to see this beach is here.” This year 18.1% of first-years are from the southwest, where students more typically head to the west coast versus the east for college. 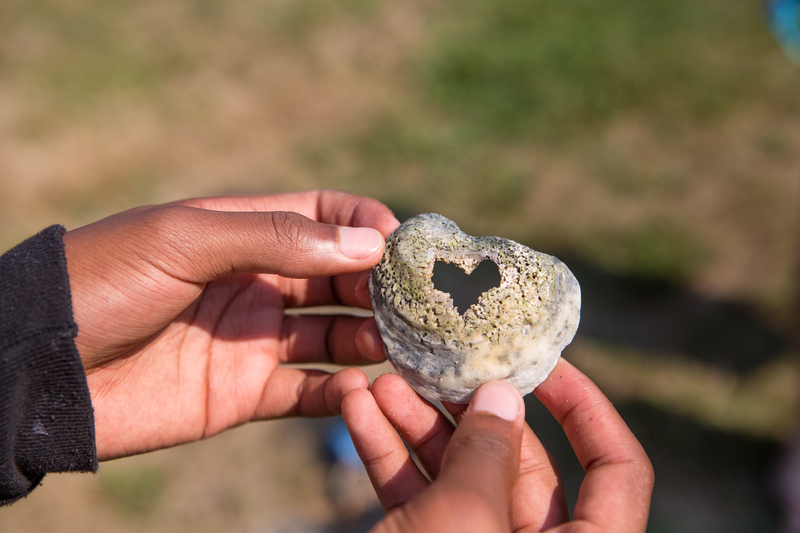 Students involved in RISD’s Leadership and Community Engagement (LACE) program develop valuable skills through volunteer work with local nonprofits.